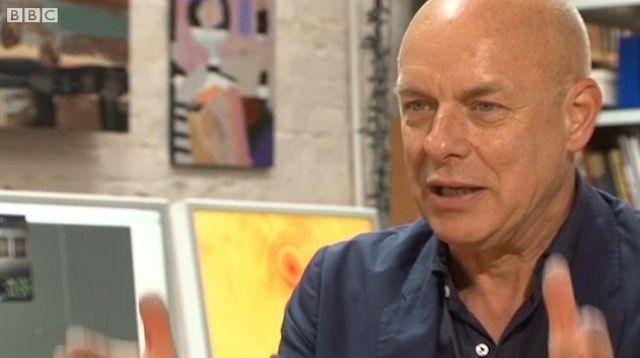 Brian Eno has a new app out. It’s called Scape. Like other apps he’s produced, it’s about making music – even for people who have no musical skill or knowledge whatsoever. Eno has a track record on iOS. His first app, Bloom, was one of the very earliest ambient music generators on the platform and deserved the praise it got at the time. I still play around with it now, sometimes. Bloom’s follow-ups, Trope and Air, were also generative music players, each with a slightly different emphasis. It seems (to me, at any rate) that Eno views these apps as works, just like his albums. So while you could argue that all four apps do very similar things, that’s like pointing out that most ambient albums sound, well, floaty. Of course they do. Scape is similar to its predecessors, but slightly different. (It’s only for iPad, which is one major difference.) Does it have more to offer? To Brian Eno collectors, it certainly does, because it comes with a full album’s worth of music made by Eno and his collaborator on this project, Peter Chilvers. So your five dollars gets you that as well as the app itself. Eno is following in the footsteps of artists like Madonna and Bjork and many others here. The app is now as much a commercial musical product as the album is. It’s a good source of revenue for anyone with a fan base. Anyway, back to Scape. You’re asked to go through a simple introduction on first play, and it’s worth watching to get the hang of the (pretty simple, mind you) controls. 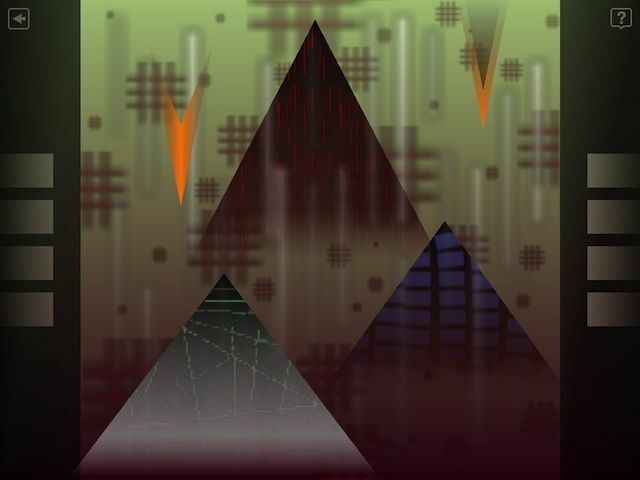 Scape generates music by combining visual symbols on screen. You’re invited to throw yourself in, meddling with the images until the sounds you hear are sounds you like. There’s no way of knowing in advance what one image will do to the composition, you have to experiment. The source images are divided up into categories: backgrounds play continuously. Elements add notes, according to rules kept hidden by Eno and Chilvers. Moods add variation to the background tones. It might seem, at first, as if there’s not enough stuff to play with here. But stick with it. The more you explore and play, the more you’ll find. Additional sounds are “unlocked” as you go along. The result, like Eno’s other apps, is a delightful way for anyone to make music. Very young children can enjoy this, and so can experienced adult musicians. Then again, it helps to have a passing interest in ambient and generative music. If listening to any of Eno’s classic ambient works (like “Music for Airports”) drives you crazy, you’re well advised to steer clear of this one. But I like “Music for Airports”, and I like this app. It’s got something to offer to a wide range of people, it’s been carefully and thoughtfully put together, and it’s not bad value at $6 (£3.99).